Sports club Villa FC of Uganda have confirmed that they will play a friendly match against Gor Mahia on Wednesday. SC Villa Ivan Kakembo said Kogalo are expected to arrive on Tuesday. “The Kenyans will jet in on Tuesday and we believe that this match will push us a long way in preparing our team for the CAF Confederations Cup tie against Sudan’s Khartoum Al Watani FC slated for February 13 in Sudan. The match will act as a fundraiser for the Sudan trip.” he said to Kawowo sports. For Gor Mahia, it will be the third in a series of international friendlies against top tier sides after successful tours of Ethiopia and Sudan. It will be stern test against a team that finished second in the Ugandan league, only four points adrift of the eventual champions Vipers FC. Villa, along with KCC and Express were for many decades the top teams in Uganda. Their best years on the local scene was between 1998 and 2004 when they won the Ugandan league a record seven times in a row. During this period, they also won the Uganda domestic cup six times. On the continental scene, their best years were 1991 when they reached the Africa champions cup final and 1992 when they reached the CAF Cup final. The year 1991 was especially memorable for Villa as they eliminated Egyptian giants Al Ahli in the quarter-finals and then eliminated Nigerian giants Iwuannyanwu Nationale (now known as Heartland). 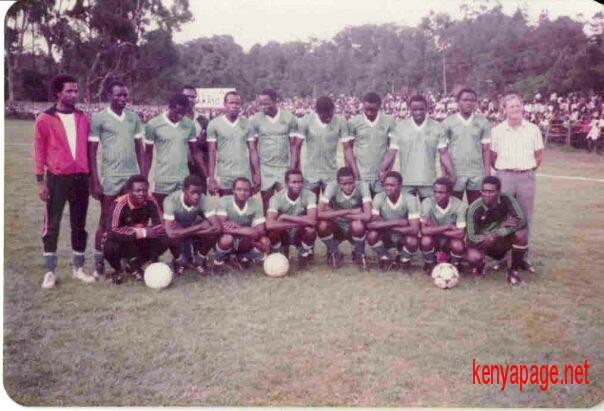 Interestingly, in 1991 they had played against Gor Mahia in the CECAFA club cup in Tanzania. Gor Mahia at the time were coached by player-coach Austin Oduor and included the likes of Charles Omondi “Korea” in goal with Tobias Ocholla, Zedekiah Otieno “Zico”, Paul Ochieng plus youthful new signings Allan Odhiambo, Fred Awich, Felix Otieno, Charles Ogutu, Tom Odhiambo as well as Congolese refugee Francis Kasinde and Ethiopian refugee Michael Teshome Zelleallem. Gor Mahia were in high spirits. Before going to CECAFA, they had beaten a team from Denmark (FC Ikast). They represented Denmark in the 1991 UEFA Cup. Yet Gor Mahia beat 2-0 with Kasinde scoring a memorable goal. In the opening CECAFA match, Gor Mahia battled the vastly experienced Villa side to a 0-0 draw. GorMahia went on to top the group after wins over Al Mourada of Sudan and Limbe Leaf of Malawi, before losing to hosts Simba SC in the semis. The two sides had also met in the group stage of the 1983 CECAFA Club cup that was held in Zanzibar. Gor Mahia were then coached by Jerry Imbo who was also a player. This was a month or so before the arrival of Len Julians. This was And Gor Mahia were fielding a very young team because a significant number of players had left after the disastrous 1982 season. Some like Andrew Obunga, Ogolla “Machine” and George Ayuka were out for disciplinary reasons. Stalwarts Allan Thigo and Tim Ayieko had recently retired. 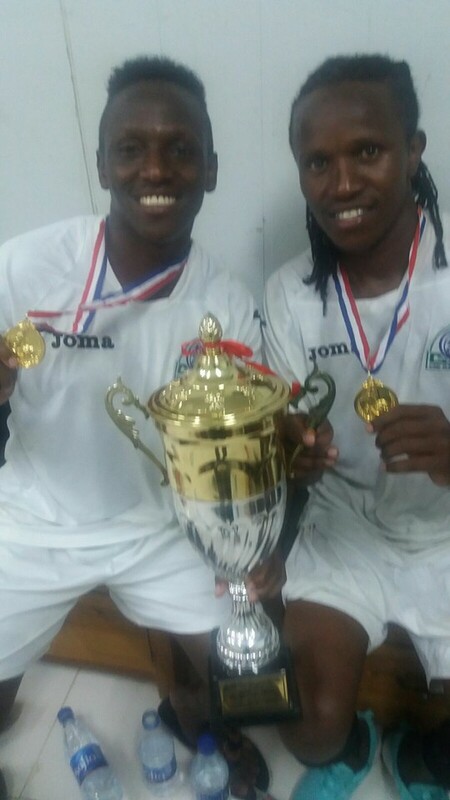 Supernovae Nahashon Oluoch and Sammy Owino had left for the USA. The departures offered opportunities for previous bench warmers like Austin Oduor, Peter Otieno Bassanga, Sammy Onyango and Gideon Hamisi to step into the starting line-up along with regular starters like Bobby Ogolla and John Chore. Gor Mahia were also several youthful new signings like Hezborn Omollo, John Okello Zangi, Charles Otieno and David Ochieng. The group only had three teams. Gor Mahia lost the first match to arch-rivals AFC 2-1. Chore scored Gor Mahia’s goal. Gor Mahia had to beat Villa which was then known as Nakivubo Villa. It was not to be. Gor Mahia lost 0-1. Coaching Villa on that day was none other than David Otti who had coached Gor Mahia between 1980 and 1982. After the match, there was an internal investigation led by club officials Jeremiah Odera and George Ouma. The investigation concluded that among other things, two Gor Mahia players were bribed by Nakivubo Villa for a some of Ksh 600. The Nakivubo chairman Patrick Kawooya later admitted that he gave the two players Ksh 600 each but that he gave it to them as a gesture of friendship. The encounter against Villa will be a stern test for Kogalo. Though Villa have not won the Ugandan league for a decade, they are on the recovery path. They finished second in 2015 and won the Uganda cup which qualified them to play in the 2016 Confederations cup. They are one of the best supported teams in Uganda and are beginning to bring the crowds back. 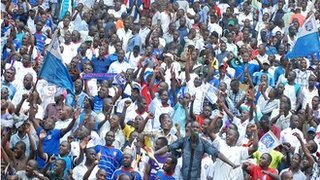 Thus Gor Mahia can expect to play against a significant number of partisan fans on Wednesday. And Villa have been impressive in recent build matches. They beat Ugandan league sides Kiwanga FC 2-1, beat Future Stars 3-0, and beat Sadolin paints of Jinja 3-1. They have been the most active side in the transfer market, signing internationals Mike Sserumaga and left back Farouk Musisi as they prepare to play Al Khartoum of Sudan. Various reports have indicated that British betting company Betway is in the midst of finalizing a deal to sponsor both Gor Mahia and AFC Leopards. It is the same company that sponsors West Ham United in the English premier league to the tune of West Ham £20m over three and a half years. Betway is eager to make inroads into the Kenyan sports scene where sports betting has suddenly become fashionable. In Tanzania a similar situation was in existence for years as the two big clubs, Simba and Yanga were both sponsored by Kilimanjaro Premium Lager Brand. What this does is that it shields the Kilimanjaro Brand from resentment from one group of fans. By sponsoring both teams, the Kilimanjaro Brand can obtain support from both Simba and Yanga fans. In Kenya the same situation pertains. Sponsoring both teams together shields the two teams from the political intrigues that hinder sponsorship in Kenya. The deal is supposed to be announced next week. However there are reports that Sportpesa approached a faction of AFC officials and agreed to a different deal while other AFC officials complained that they were not consulted. A report from mediamaxnetwork suggests that AFC officials claimed that Betway have pledged Sh30 million in sponsorship for three years which will be extended on mutual agreement with a 10 per cent annual increase, while SportPesa are ready to dole out a similar amount for a five-year period but with strings attached. Among other things, Sportpesa want AFC officials to accept that the betting firm hire their own accountant to audit the cash that will trickle into the team after the deal. Additional reports from goal.com suggests that sportpesa presented both AFC and Gor Mahia with similar deals. If this is true then it becomes incumbent for officials of both teams to work together for the sake of the clubs. Selfish vested interests or incompetence from one set of officials could derail a deal for both clubs and leave both clubs sponsor-less for more years to come. Nuttall: I have been looking to add defensive players. Saleh has some good experience with his former club and the national team. So he will provide experience. Gor Mahia’s hopes of shoring up their finances received a major boost after the court dismissed an application filed by Good Bread Kenya Limited that was seeking to block Elliot from supplying branded K’Ogalo bread. 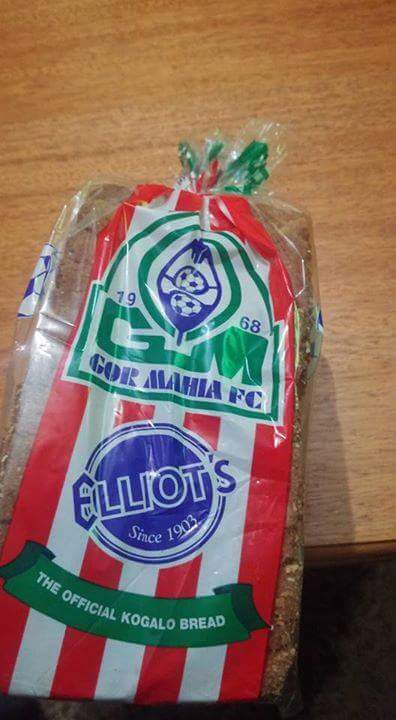 Elliott were involved in a legal tussle with Good Bread Limited after Gor Mahia terminated the deal with Good Bread who were paying the club 1 Ksh per loaf. “They (Good Bread) have not achieved what they promised us, and they have not even explained to us how they intend to make up for that, so I think the best thing is to move on. We are in the final stages and in the course of the week we shall release an official statement.” said a Gor Mahia official at the time. The deal with Elliots offers Ksh 2 per loaf. The report from Capital FM suggests that Gor Mahia are targeting an amount of KSh 4.8 million per month from their new deal. This is an amount that would exceed what Gor Mahia received from Tuzo which in the last year was Ksh 29.5 million per year. But it is still only half of what Gor Mahia needs per season especially considering the expense of playing in the champions league. 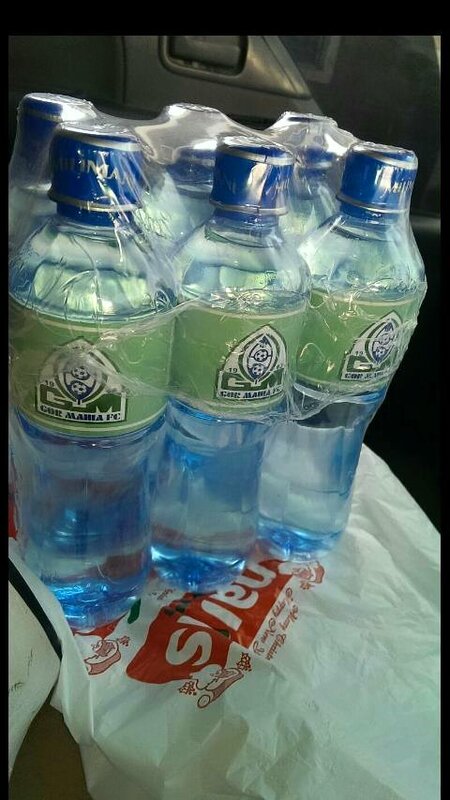 Ideas have also been floated by a different company to brand Gor Mahia water. Abouba Sibomana, Geoffrey Walusimbi and new signing Jackson Saleh were the latest arrivals as Gor Mahia continued their pre-season training at Camp Toyoyo on Tuesday. Still missing is Innocent Wafula whose whereabouts are unknown and Khalid Aucho. 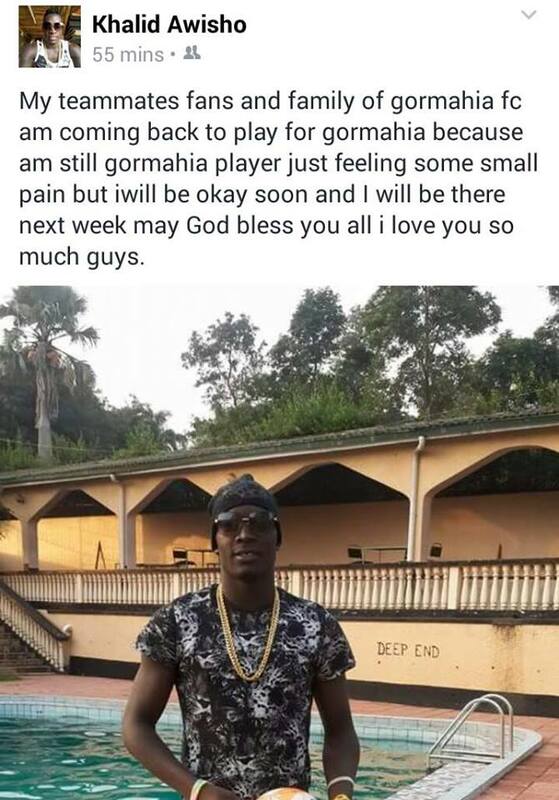 The combative Ugandan midfielder took to social media to explain his absence and promised to return soon. Coach Nuttall is hopeful that the mssing players will arrive soon. On Wafula, the club is best advised to ascertain his true nationality before fielding him, given that they have already reached the 5 foreigner maximum. In a bid to shore up the central defence department which has been paper thin, Gor Mahia have signed AFC Leopards defender Jackson Saleh. Since the Liberian Dirkir Glay left in August of last season, Gor Mahia have had to improvise by playing Innocent Wafula and Eric Ochieng in central defence with mixed results. Gor Mahia team manager Jolawi Obondo confirmed the move. Obondo also said that they have already received a release letter from AFC Leopards. On Monday, Gor Mahia had denied that they were interested in Saleh. “Those are just rumors. We have not expressed any interest in signing him. Currently we are working with the players we have on board” said Ronald Ngala when asked whether the club was pursuing Saleh. In 2014, Saleh was rumoured to be very interested in joining Gor Mahia and some outlets even reported that he had signed. He was later convinced by AFC officials to remain at the club. Saleh has played at Harambee stars alongside Musa Mohamed. Before playing for AFC, he was at Western Stima. According to the Standard, these are the transfer moves that Gor Mahia have completed so far. Olunga’s is on trials and could return to Kenya if he cannot agree to terms with Swedish side Djugarden IF. Defender Harun Shakava has extended his stay at Gor Mahia for another two years thus ending speculation about his departure. He had previously been linked first with Tusker then Kakamega Homeboyz. 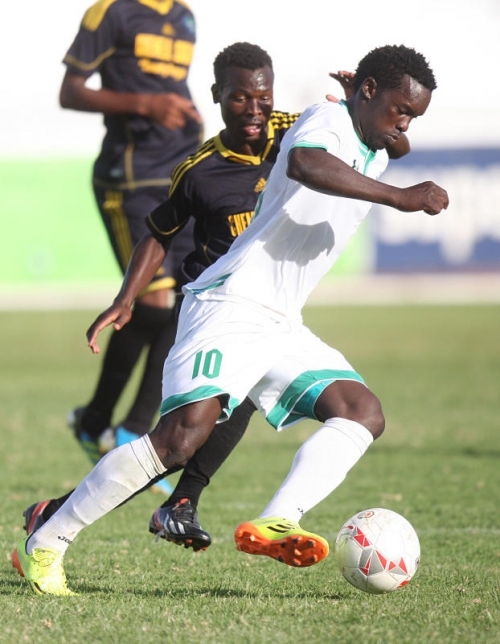 The speculation about Shakava started when it appeared that Gor Mahia were about to sign David Ochieng “Cheche”. But Cheche has since gone to Denmark where he too is on trials. But a return to Homeboyz would have been a step backwards for a player who still has potential to go much further in his career. Kilo went on to clarify the status of other players who have not joined the team as of yet. “We are also expecting the likes of Wafula (Innocent), Aucho (Khalid) and (Goddfrey) Walusimbi to join the rest of the team this week. Aucho is already on his way coming. Only Tuyisenge will join us much later because of the on-going Chan matches.” continued Kilo. According to Ronald Ngala, the whereabouts of Innocent wafula are unknown. He however clarified that the club does not owe either player salaries. Obly match bonuses are owed. “We have cleared the salaries up to December and as for Aucho, he gave us his Ugandan bank account where we send his wages but we have not heard from Wafula since the team broke for holiday last year,” Ngala said to Capital FM. Ngala says there is a misunderstanding from certain players about how match bonuses are calculated. “We are aware of the balance that we owe them is bonuses which we are working on clearing. We have paid six out of eight from last year but the players are talking about 15 matches. “We have had a tussle with the players concerning a couple of matches because in a tournament we don’t count per match but where they reached. We are in the process of clearing the remaining bonuses,” he said. Meanwhile Gor Mahia official Ronald Ngala has denied that the club has made overtures to AFC Leopards defender Jackson Saleh. Saleh has approached AFC officials and told them that he is intent on leaving. A similar scenario ensued last year when Saleh threatened to leave AFC. Gor Mahia official Ronald Ngala has come out to deny that the club owes Khalid Aucho alot of money. Aucho has earlier on claimed that his salay and bonuses are in arrears. “Hopefully I will be back in Kenya end of this week or early next week but I do not know whether I will be playing for Gor Mahia or not. They owe me a lot of money, from allowances to salaries and no one is talking to me. I want to come and have a talk with them and that will determine my future with the team which I regard highly in my heart.” he said to goal.com on Friday. 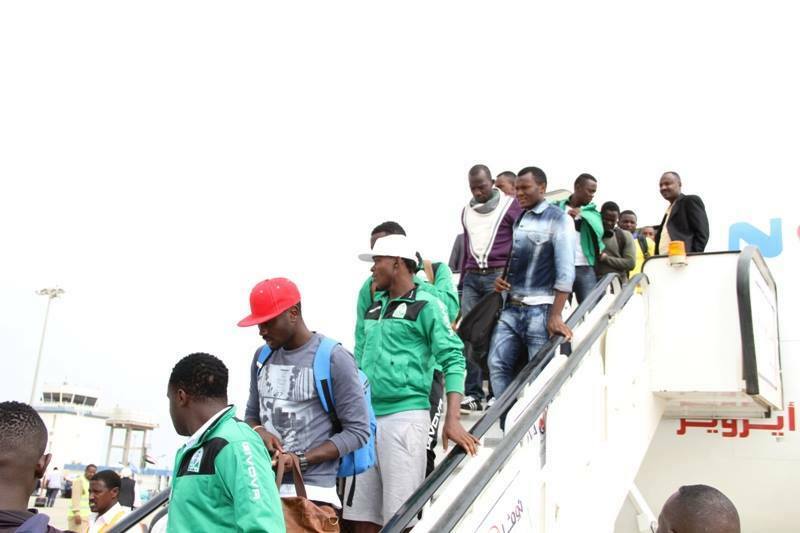 Speaking to The Nairobian, K’Ogalo’s Deputy Secretary General Anima Ferrari said it makes a lot of economic sense to bring the Rwandan player on board. “We will be spending Sh4 million on Tuyisenge. This however will be paid in a span of two years. That is quite fair. Kagere on the other hand demanded Sh2.5 million per year, which adds up to Sh5 million in two years,” Ferrari told The Nairobian. The club spent $40,000 (about Sh4 million) to capture Tuyisenge had elicited debate with many questioning the move. “Tuyisenge is in his twenties, he is still very young and can be of much value to the club in future. Kagere, though good and tested in the KPL, is much older. It would therefore be unwise to spend millions, which we do not have anyway, just to have his services for the 2016 season,” added Ferrari who believes the new acquisition will do just fine in the league. Gor Mahia recorded an impressive 1-0 over Sudanese giants Al-Hilal. 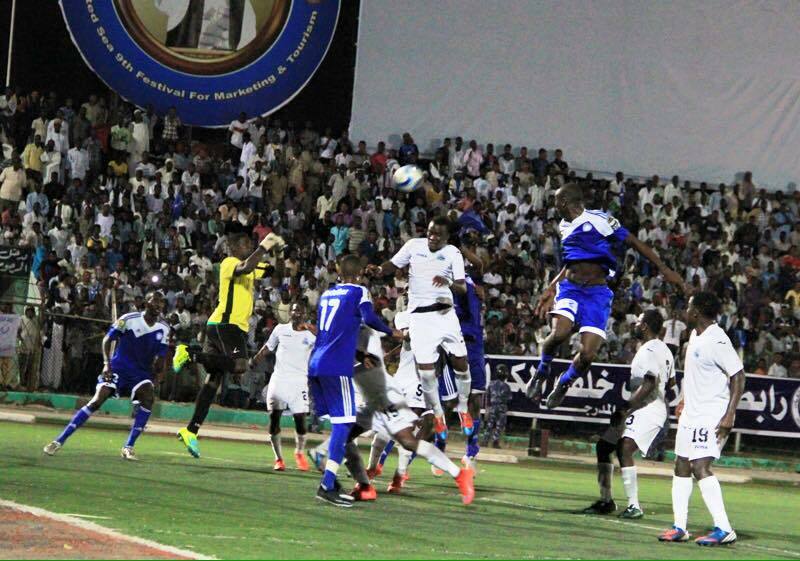 The match was played in the city of Port Sudan by the red sea on Thursday evening. Al Hilal fielded a full strength side including Camerounian Maxime Loïc Feudjou in goal, abdullatif bo, and songs abeiku amar damazin and abu sane Senegalese defender Souleymane Cissé. The central defence had Ghanaian Nelson Nizar Hamid in midfield was Nasreddin worker and the attack had Kennedy Ishii ” Walid Aladdin and Cheick Moukoro from Cote’d Ivoire. Al Hilal controlled the early proceedings but their attacks were easily neutralized by Harun Shakava and Musa Mohamed in central defence. The all important goal was scored by Enock Agwanda who picked up a cross from Eric Ouma and finished with a neat back header in 47th minute. Collins Okoth had done most of the spadework. That goal seemed to demoralize Hilal who showed very little threats from then on. Keeper Boniface Oluoch denied Al Hilal a chance to equalize when he saved a penalty in the 77th minute. If anyone had any doubts that Gor Mahia are ready for this season’s Africa champions league then those doubts ought to be put aside now. Al Hilal are a giant side. 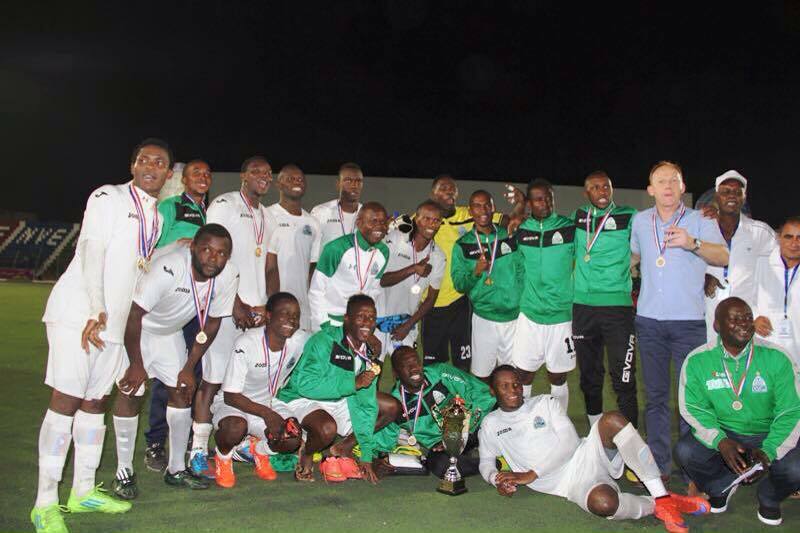 They have won the Sudanese league a record 28 times. They have reached the group stage of the Africa champions league 6 times in the last 10 years and reached the semi-finals four times in the last 10 years. Beating St George away from home then beating Al Hilal away from home is no easy feat. Especially considering that Gor Mahia are missing several key players. It also shows that the away form that made Gor Mahia formidable in Africa decades ago is coming back. It also shows the progress Gor Mahia have made in closing the gap on Sudanese sides. In 2010, Gor Mahia lost 1-3 to El Merreikh in Nairobi. A year earlier they had lost 5-0 to the same outfit. Of late there have been rumblings from some fans, some officials and potential candidates urging chairman Ambrose Rachier to hold elections. It appears that the club has finally agreed to hold elections. This was decided at the club’s executive committee meeting held last week. Though no date has been set. In recent weeks, some officials have grumbled that the excuse of the sports act is being used to delay elections. Rachier is currently busy running for FKF chairmanship which might explain why he has been reluctant to call elections. It is not clear if he intends to defend his club chairman seat. Back in November he indicated that he would be interested in holding both positions. “I am not leaving Gor Mahia, actually we have seen in the past presidents of the federation locally and internationally doing both jobs effectively. Even if I get the nod to head the main office, I will still be in charge at K’ogalo. I will handle both jobs because I am capable, and we at Gor Mahia still have unfinished business which we need to see its realization,” said Rachier at the time. “It has not been easy running both the junior and senior teams, especially financially; we have had challenges considering we do not have a sponsor. The achievements realized here have not come as easy as they seem. I also thank the fans for not invading the pitch during trophy presentation, it was achieved through education, and that shows what education can do.” he continued. When elections were last held in January of 2016, Rachier beat his closest rival Eric Adede by 808 votes to 445 votes. Chris Omondi was elected Secretary general by beating TJ Oriko. Omondi has gone AWOL after having once quit citing frustrations. Were elections to be held today, if Rachier were to run, he would likely beat Adede by a larger margin. Rachier for all his faults has steered Gor Mahia to 3 titles, two second place finishes and two cup wins. Adede is an unknown quantity. He has no record of managing any aspect of the club or even a branch of the club. However what Gor Mahia needs most is not elections nor compliance with the sports act. What the club needs most is to find efficient ways to boost its financial position and to modernize its constitution.